Following on from Friday’s story, MoM delves deeper into the DNA of the latest addition to Gordon & MacPhail’s Private Collection: two ‘twin’ whiskies, the “oldest Longmorn single malts ever released”, selected by identical twin brothers Stuart and Richard Urquhart. 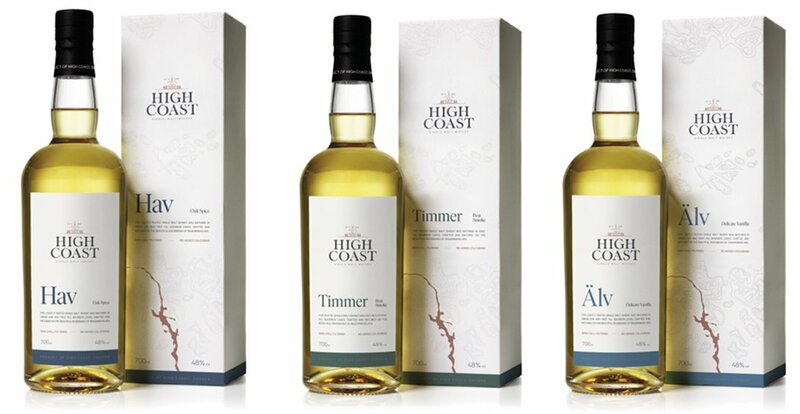 The final instalment of the ‘Private Collection’ range – which comprises four rare single cask bottlings, each chosen by an Urquhart family member* – sees the release of not one but two supremely delicious drams, chosen by Stuart Urquhart, Gordon & MacPhail’s associate director of whisky supply, and his twin brother Richard, the company’s international sales manager for Asia & Americas. Speymalt Whisky Distributors, parent of the Benromach distillery and Gordon & MacPhail, has announced plans to build a brand new malt whisky distillery at Craggan in the Cairngorms National Park…. Speymalt Whisky Distributors, parent of the Benromach distillery and Gordon & MacPhail, has announced plans to build a brand new malt whisky distillery at Craggan in the Cairngorms National Park. News of new whisky distilleries continues to be music to our ears, and the hits keep coming. Plans have just been announced for a brand new malt whisky distillery to be built at Craggan in the Cairngorms National Park by Speymalt Whisky Distributors. As the parent company of the Benromach distillery and long-running whisky specialist Gordon & MacPhail, setting up a second distillery ought to be an exciting project with a particularly delicious result – more Scotch whisky for us all to enjoy! It’s Friday, Friday, gotta get down on Friday… (you’re welcome for the earworm). It’s time to down tools for the weekend and reflect on another seven days in drinks. Before we crack on with The Nightcap proper, let’s recall another stellar week on the blog. On Monday we got set for the Chelsea Flower Show with Annie’s round-up of deliciously floral whiskies – whether plants are your thing or not, it’s a sublime list of sunny-day sippers. Then on Tuesday we were VERY excited. We got to share a sneak peek inside Macallan’s new distillery following our secret visit back in April. It’s definitely one to add to the bucket list! No Comments on Happy 20th Anniversary, Benromach! Speyside single malt whisky distillery Benromach is celebrating its 20th anniversary in the most fitting of ways: with a fabulous new limited edition expression: Benromach 20th Anniversary Bottling! 2018 represents a significant milestone in Benromach’s history: it’s 20 years since the site was re-opened after decades of uncertainty and a subsequent period of refurbishment. The distillery can actually trace its roots back to 1898, but its chequered past saw it mothballed multiple times. That was until Gordon & Macphail saved the day, buying the site in 1993. In 1998, spirit flowed from its stills once again. The Benromach 20th Anniversary Bottling (which was bottled just shy of its 20th year in oak) was matured in both first fill ex-sherry and first fill ex-bourbon casks in Benromach’s traditional dunnage warehouse, and captures ‘the classic character of Benromach Speyside single malt Scotch whisky – rich, smooth and beautifully balanced, with a hint of smoke’. The 5th-7th July 2013 saw the first ever Dramboree! A whole whisky weekend courtesy of the marvellous organisers Jason B. Standing and Jonny McMillan! This year’s hugely enjoyable event was held in the beautiful town of Aberfeldy. ‘International Port Ellen Day’ 2013 (#iPed2013), organised by the one and only Jon Beach, took place on the Friday during Fèis Ìle this year.